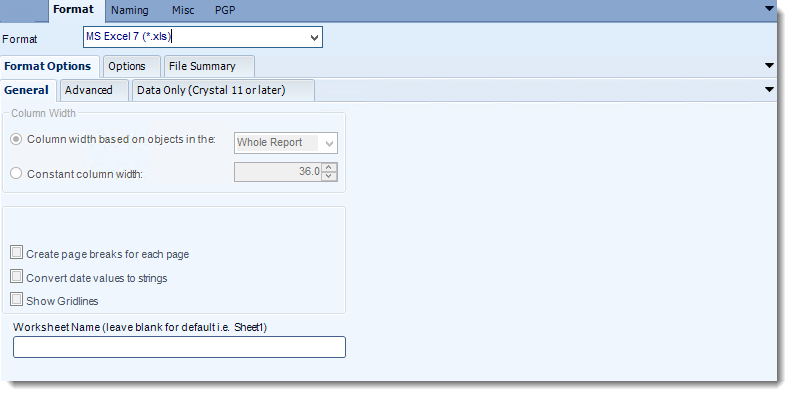 Export Crystal reports to Excel & automatically deliver them to an FTP site, send them in emails, or deliver them to any number of other destinations. CRD lets you customize them before delivery. Here's how. The general options are self explanatory. Excel option require that you have MS Office 2000 or above installed and you have applied the very latest service pack for your version of MS Office. 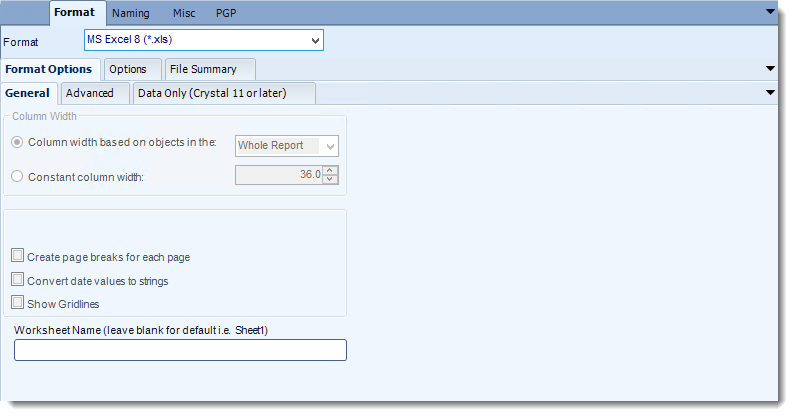 When Crystal exports reports to excel it names the worksheet "Sheet 1". Enter a new name in the indicated field if you wish to overwrite this. 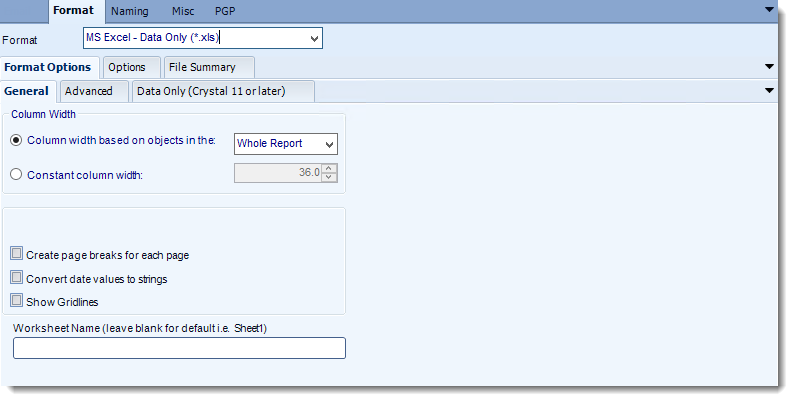 Excel Group Bursting: This facility enables you to burst each resulting report group into an individual worksheet, and present your report as a number of worksheets in a single workbook. 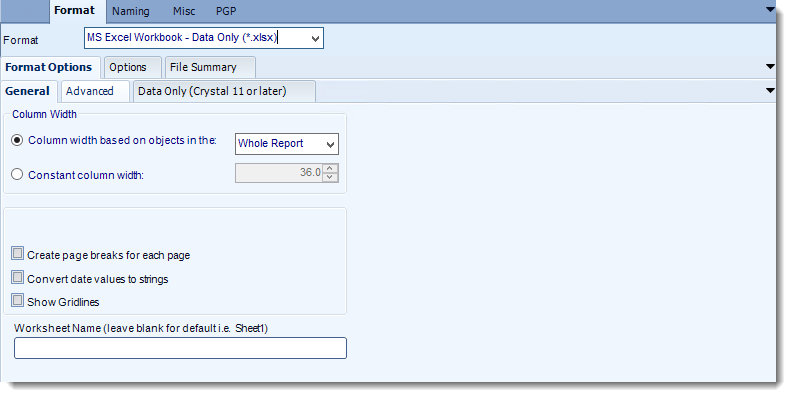 Simply check the option and tell CRD what database column or Crystal formula your group is based on. Each group value will be listed as separate tab in your work book. 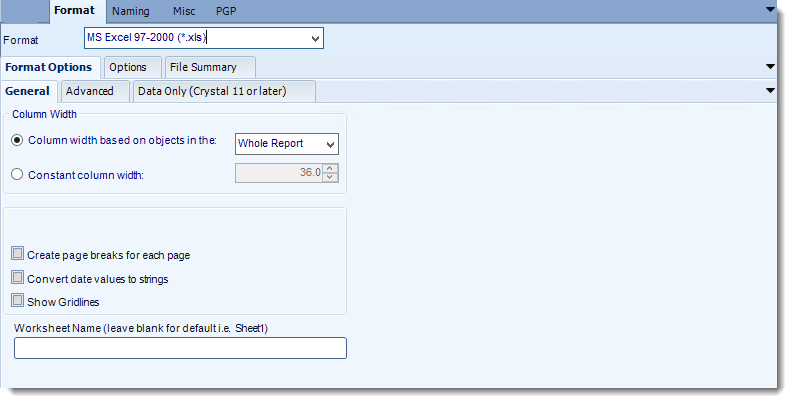 Group values must be within Group Header of your Report. Workbook Password: Password protect your workbook by checking this option and entering the desired password. 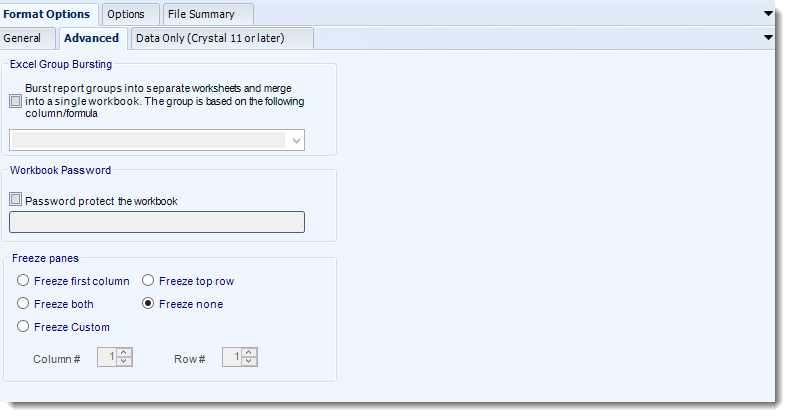 Freeze Panes: This option 'freezes' the first column/row of the worksheet. The frozen column/row will remain visible as the user scrolls through the worksheet. By default this is set to Freeze None. This feature is available if you are running Crystal 11 runtimes or later.